JXTC Stratawerks - great business template on the theme of finance, consulting, marketing, from renowned design studio JoomlaXTC. 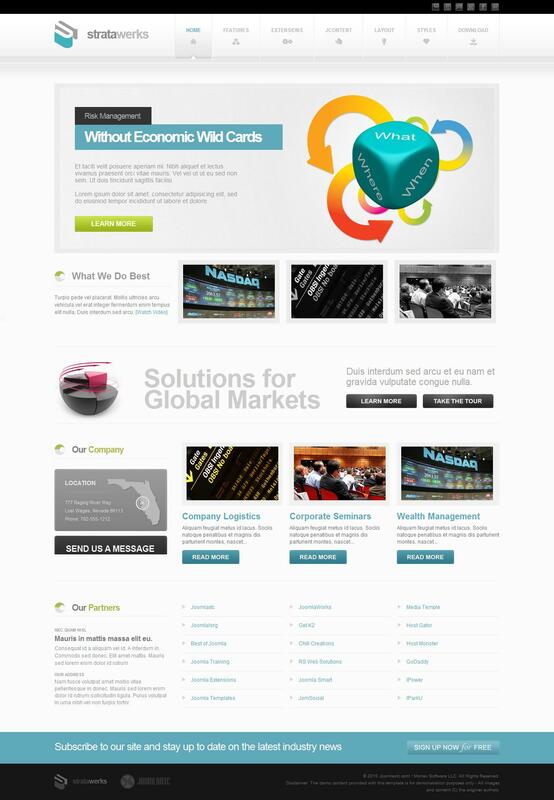 This template contains an extensive set of functions to create a quality website. The structure of the template includes popular extension studio Joomla - Power Tabs, and custom themes for components RSMonials, JComments and CCNewsletter. The template comes with the new JoomlaXTC XTC Framework system complete control over the template styles, from the width of the columns and to the background color and font size. Also has 6 custom styles template.